The NCEJN Planning Committee announces the theme for the 19th Annual EJ Summit: Building People’s Power Against State Violence! The committee envisions Summit sessions that consider the intersections of state violence (e.g., police, military, government policies) and environmental injustice, with a special focus on impacts on women, LGBTQ people, immigrants, youth (e.g., school to prison pipeline), and people of color. We will circulate a call for proposals shortly. In the meantime, if you have questions or suggestions, please send an email to: ncejsummit@gmail.com. I am a link in the chain, and the link in the chain will not break here! The North Carolina Environmental Justice Network (NCEJN) is a coalition of community organizations and their supporters who work with low income communities and people of color to promote health and environmental equity, clean industry, safe work places, and fair access to all human and natural resources. We seek to accomplish these goals through organizing, advocacy, research and education based on principles of economic and political equity. This position requires considerable travel across the state, so a valid driver’s license and access to a registered vehicle are needed. This position is currently funded for two years. To be considered for the position, please submit a cover letter, CV, and the names of 3 references. Materials should be emailed to Ayo Wilson at ncejnetwork@gmail.com by February 28, 2017. NCEJN, REACH, and Waterkeeper Alliance recently published a press release regarding the EPA’s letter to the North Carolina Department of Environmental Quality (DEQ). You can read Waterkeeper Alliance’s post, “EPA Expresses ‘Deep Concern’ Over Discriminatory Impacts of Industrial Hog Operations in North Carolina”, here. Also, you can read the letter sent to DEQ here. Bullies don’t like it when you fight back. For decades, the multi-national corporations that control the hog industry in Eastern North Carolina have bullied people who live near hog facilities. Elsie Herring has been standing up to the industry since the mid-1990s, and she’s gotten a lot of attention. Now, the industry is hiding behind a public relations front group, NC Farm Families, in an effort to discredit Ms. Herring and unfairly minimize the suffering that comes with living next-door to an industrial hog facility. Ms. Herring lives in Wallace, NC—in Duplin County, which hosts more than 2 million hogs– on land that has been in her family for over 100 years. A few decades ago, industrial hog facilities began to appear in Ms. Herring’s community—just as they did in many communities of color across eastern NC. As illustrated by this 2016 photo, showing the sprayfield near the corner of River Road and Beulah Herring Lane, Elsie’s home is now surrounded by these facilities, and her health and quality of life have suffered as a result. As Ms. Herring recently stated in the News & Observer, “My family, neighbors, and I have been held prisoner in our own homes by the unbearable stench from the multiple industrial hog operations within a quarter mile of my community.” Ms. Herring no longer dries her clothes on a clothesline, for fear that they would be covered by hog manure sprayed by the facility next-door. She doesn’t garden or entertain outdoors, and no longer uses her well or fishes or swims in nearby streams. Yet, in a gross dismissal of her suffering, NC Farm Families inaccurately claimed that Ms. Herring’s problems were resolved 18 years ago. The industry claimed to have ended the problems its pollution causes by planting some trees. There’s some dispute about the distance between Elsie’s home and the nearest field where hog manure is being sprayed; however, this 2016 video footage [Video of Spraying] of the sprayfield closest to Elsie’s home (which NC Farm Families ignores in their recent attack, identifying only the sprayfields near River Road), makes clear that waste is still being sprayed very close to her house. Even if we take industry spokespersons at their word, they’re distributing liquid waste within 200 feet of Ms. Herring’s property. These trees cannot—and do not—prevent wind from blowing manure onto Ms. Herring’s home and discouraging her from using her own property. Nor can they eliminate the noxious odor that permeates the air. Nor can they cure the groundwater pollution that prevents her from using her well. In short, planting trees was an inadequate measure taken long ago to address problems that persist today. Ms. Herring continues to suffer the effects of the hog facilities next-door, and she continues to speak out about the pollution from these operations—a burden that disproportionately harms African Americans, Latinos, and Native Americans. By attacking Ms. Herring, the industry seeks to draw focus away from the system of environmental racism that it perpetuates. But Ms. Herring’s experience is, sadly, not unique. Instead, it is representative of the plight of countless North Carolinians who live near industrial hog facilities. Because of that reality, Ms. Herring has worked for years as an NCEJN community organizer to support those whose stories mirror her own. She is not alone in her suffering, and she is not alone in her advocacy. The industry attack is also meant to discredit the Waterkeeper Alliance, which, along with NCEJN, seeks to raise up the voices of those harmed by pollution from industrial hog facilities. But this misleading attack serves only to emphasize the importance of standing united against the deceptive industrial hog industry. As Ms. Herring wrote in her op-ed, “I support family farmers, but the multi-billion dollar, multi-national corporation that owns 80 percent of the pigs in North Carolina is putting my family at risk.” Along with brave advocates like Ms. Herring, NCEJN and Waterkeeper Alliance will continue to work with our partners to promote health and environmental quality for all people of North Carolina. 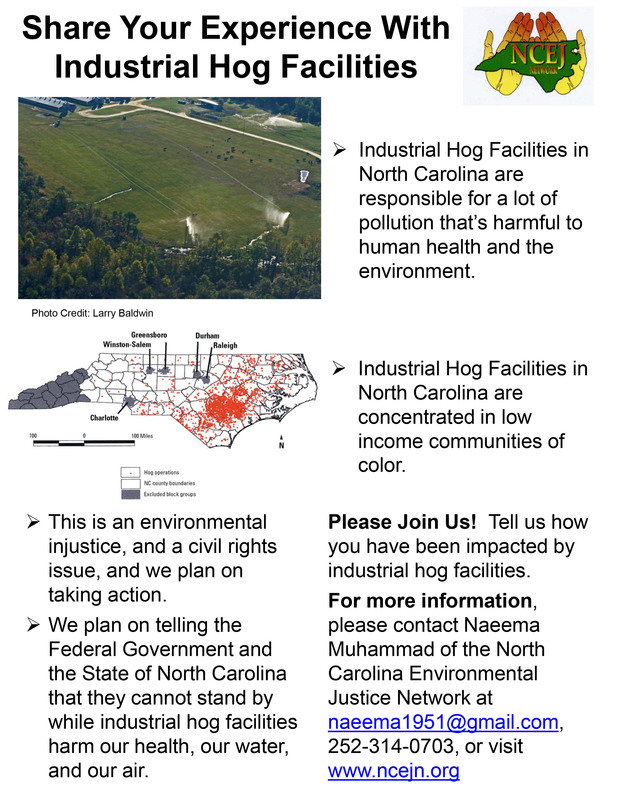 [ http://blogs.law.unc.edu/civilrights/category/environmental-justice/] The polluting practices of the industrial hog industry demand a response, and we’re fighting back. RALEIGH, NC – Yesterday, Waterkeeper Alliance, Cape Fear River Watch and the North Carolina Environmental Justice Network (NCEJN) joined together to challenge the North Carolina Department of Environmental Quality (NCDEQ) for a failure to respond to citizen complaints. The petition, filed by the UNC Center for Civil Rights on the groups’ behalf in the North Carolina Office of Administrative Hearings, alleges NCDEQ failed to respond as required to credible evidence of illegal activity by operators of industrial hog production facilities. Each year, over 2,000 concentrated animal feeding operations (CAFOs) with capacity to house more than 9 million hogs in North Carolina generate billions of gallons of waste that is laden with nutrients, bacteria, and pathogens. This waste is stored in unlined cesspools which NCDEQ and the industry call “lagoons,” and sprayed onto adjacent fields. The vast majority of swine CAFOs in North Carolina are concentrated in the state’s coastal plain, where sandy soils, frequency of precipitation, and the shallow depth of the water table make land application of waste particularly threatening to water quality and public health. State permits governing swine CAFOs prohibit land application when the risk of runoff or discharge is heightened, including more than 4 hours after the issuance of a flood watch by the National Weather Service (NWS). The failure to investigate is particularly egregious because illegal pollution from swine CAFOs in Eastern North Carolina disproportionately impacts communities of color. Research shows that the percentages of African Americans, Latinos and Native Americans living within three miles of these swine CAFOs are 1.50, 1.41 and 2.22 times higher, respectively, than that of non-Hispanic whites. “African American, Latino, and Native American communities disproportionately bear the burden of living near industrial hog operations in Eastern North Carolina. NCDEQ has ignored our continued requests for adequate regulation and monitoring of this industry for years. Their continued failure to investigate complaints filed by members of NCEJN and other impacted community members adds insult to injury for people living with the stench and water contamination caused by swine CAFOs,” said NCEJN co-director, Naeema Muhammad. NCDEQ must stop prioritizing polluters over people. The agency must follow and enforce the law by investigating credible complaints and issuing a “Notice of Violation” where credible evidence shows a violation of the law. Waterkeeper Alliance unites more than 300 Waterkeeper Organizations and Affiliates around the world, focusing citizen advocacy on issues that affect our waterways, from pollution to climate change. The Waterkeeper movement patrols and protects more than 2.4 million square miles of rivers, streams and coastlines on 6 continents. For more information please visit: www.waterkeeper.org. Please join us for NCEJN’s 18th Annual EJ Summit on October 21-22, 2016 in Whitakers, NC! You can find more information about the agenda and how to register under the EJ Summit tab on our website. Steve Wing International Environmental Justice Award – Award for a person who has used their scholarship and activism to fight for environmental justice. NCEJN Community Resilience Award – Award for a community member who constantly uses activism and organizing in their community to achieve environmental justice. EJ Youth Vanguard Award – Award for two youth (one of elementary school age and one of middle/high school age) that have shown dedication to environmental justice and have the potential to be EJ leaders in the future. Please circulate this message in your community networks! If you want to learn more about what happens at the EJ Summits, check out the History of EJ Summit tab. At this year’s Summit, we are planning to create a timeline (as a group) that documents the history and stories of the Environmental Justice Movement in North Carolina. To do this, we need your help! Please bring any memories that you have to help tell this story. For example, you could bring pictures, newspaper articles, old t-shirts, etc. We will paste all of these items in sequential order onto pieces of paper on the walls at the Franklinton Center. Looking back will help us move forward. Knowing where we’ve been will guide our path into the future. Bring any materials that you’d like to contribute to the timeline project. Please email ncejsummit@gmail.com with any questions. To record the histories of communities in Alamance and Lowndes Counties through interviews, visual data collection and neighborhood visits. To understand current environmental conditions in the communities through their histories. To imagine the future of these communities, using the lessons of history, and the desires of community members. To create new space, both physical and virtual, for communities to connect to one another. Visual artist Torkwase Dyson will partner with Danielle Purifoy, a lawyer and Duke University Nicholas School Ph.D candidate studying racialized spaces and environmental inequality in the American South. Dyson and Purifoy will be joined by two community-based collaborators: Omega Wilson, a native of Alamance County, North Carolina and founder of the West End Revitalization Association, and Catherine Flowers, a native of Lowndes County, Alabama, and founder of the Alabama Center for Rural Enterprise. Excerpt of Petition: “The hog operation next door makes my life miserable. The pork industry down here in North Carolina places profits over my civil rights. I have no choice but to live with spray manure blowing onto my property. There’s an increase in snakes, rats, flies, and mosquitoes. There’s a horrific odor seeping into my house even when the windows are shut as the Health Department has advised. Please sign my petition telling the Environmental Protection Agency’s Office of Civil Rights to help stop the civil rights violations here in North Carolina and protect families like mine from exposure to hog waste. Congratulations to our partner, West End Revitalization Association(WERA), for being recognized with the 2016 Community Award from the NAACP Alamance County Branch’s Annual Freedom Fund Banquet & Silent Auction! RALEIGH, N.C. – Community and environmental groups renewed their call today for the federal government to investigate claims that the North Carolina Department of Environmental Quality’s (DEQ) decision to permit thousands of swine facilities without adequate safeguards violated federal law. These calls came after settlement negotiations in their discrimination case broke down on Monday. The community-based and statewide groups say that it became clear to them that the state environmental regulatory agency was not willing to protect vulnerable communities. The negotiations stem from a complaint filed in September 2014 alleging that DEQ’s lax regulation of over 2,000 hog operations has an unjustifiable disproportionate impact on African American, Latino, and Native American communities in violation of the Civil Rights Act of 1964. Title VI of the Civil Rights Act requires that any recipient of federal funds take steps to ensure that its actions do not have a disproportionate adverse impact on individuals and communities based on race. An analysis conducted by researchers at the University of North Carolina showed that the impacts from hog operations under permit conditions set by DEQ, a recipient of federal funds, primarily impacts African American, Latino, and Native American populations. This research was provided to DEQ during the 2014 comment period on the state permit for swine operations, but DEQ rejected the findings without pointing to any contrary research or conducting any analysis of it’s own. The North Carolina Environmental Justice Network (NCEJN), Rural Empowerment Center for Community Help (REACH), and Waterkeeper Alliance, brought the complaint. They are represented by attorneys at Earthjustice and UNC Center for Civil Rights. “We are forced to endure the smell, the flies, water and air pollution that impacts our health all because DEQ won’t regulate hog operations in a way that protects our rural communities,” said Devon Hall, Program Manager at REACH, which is located in Duplin County, home to the greatest concentration of swine facilities in the country. Complainant groups agreed to enter into settlement negotiations with DEQ in an attempt to resolve the matter without the federal government’s intervention. Negotiations were almost derailed as soon as they started when representatives of the National and NC Pork Councils showed up uninvited at the UNC Center for Civil Rights offices, supported by DEQ, and demanding to intrude into discussions. Their presence was intimidating to the community members present, who have experienced retaliation from hog industry supporters for their stance against the industry’s harmful impacts. In a related action, EPA recently proposed new rules that change the way the agency handles complaints of civil rights violations. The proposed revision, however, actually weakens existing protections by removing deadlines for the agency to respond and investigate complaints, among other changes. EPA is accepting comment on the proposed rules until March 14, 2016, and the public is urged to tell EPA not to weaken civil rights protections. About NCEJN The North Carolina Environmental Justice Network is a statewide, grassroots-led non-profit organization made up of community members and other organizations that work to fight environmental injustice. The EJ Network seeks to promote health and environmental equality for all people of North Carolina through organizing, advocacy, research, and education based on principles of economic equity and democracy for all people. The EJ Network supports the communities that are most impacted by environmental injustice and has worked for nearly two decades to change the fact that industrial swine facilities in North Carolina are allowed to pollute low-income communities and communities of color. About REACH The Rural Empowerment Association for Community Help strives to improve the quality of life for families and people of color in rural eastern North Carolina. In particular, REACH addresses social, economic and environmental issues though its environmental awareness, sustainable agriculture, small business development, and homeownership programs. About Earthjustice Earthjustice, the nation’s premier nonprofit environmental law organization, wields the power of law and the strength of partnership to protect people’s health, to preserve magnificent places and wildlife, to advance clean energy and to combat climate change. Because the earth needs a good lawyer. About UNC Center for Civil Rights Since its founding by Julius L. Chambers (1936-2013) in 2001, the UNC Center for Civil Rights has strived to extend America’s promise of justice, prosperity and opportunity by elevating families and communities above the boundaries of race, class and place. Its mission is to use community-based impact advocacy and legal education and scholarship to advance strategies that secure social, economic and environmental justice for low wealth, minority families and neighborhoods. At this year’s 2015 EJ Summit, NCEJN held a Climate Justice Conversation with participants of the Summit to help NCEJN develop its position on climate change. This conversation contributed to NCEJN’s Position Statement on Climate Change. To download and read our position, please go to our “Climate Change” page, which is found under the “Issues” heading or click here. 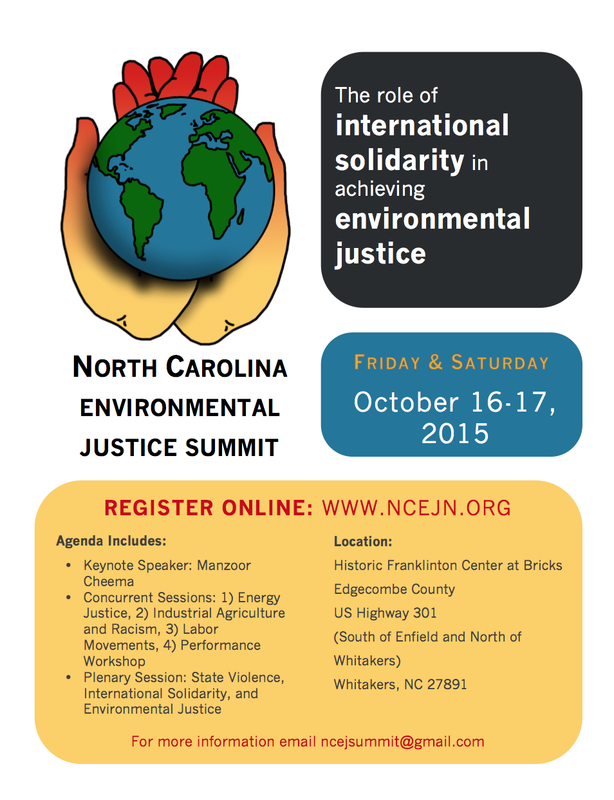 Please join us for NCEJN’s 17th Annual EJ Summit on October 16-17, 2015 in Whitakers, NC! You can find more information about the agenda and how to register under the EJ Summit tab on our website. Please email ncejsummit@gmail.com with any questions. If you want to learn more about what happens at the EJ Summits, our EJ Summit Report from our 2014 EJ Summit has now been added on our website under the History of EJ Summit tab. Or download the report now: 2014 EJ Summit Report (pdf). During the summer of 2014 the EJ Network recruited a team of dedicated individuals to organize in their communities and inform their neighbors of the environmental and health concerns resulting from exposure to the gases, liquid and solid wastes produced within hog and poultry CAFOs. We are proud of the work our organizers are doing for their communities and our state. Therefore, the EJ Network decided to dedicate a series of blog posts to them and their work. The first of our organizers to be recognized is Anthony “Tony” Hicks of Rocky Point, North Carolina. See the transcript of our interview with Tony below. 1. How/why did you get into CAFO and/or EJ organizing? 2. What work do you do as CAFO organizer? I go in my community and in Pender County. I introduce myself to people, and I let them know that I’m with the North Carolina Environmental Justice Network. And I ask them how they feel about the CAFOs in the area… the smell [and] the soot. 3. Tell us about the CAFO campaign. What are the main goals? What do you hope will come out of this work? What I hope to get out of this, and my main goal is, to reach as many people as possible that are being affected by these CAFOs. And to assure them that Reverend Dr. Anthony Hicks wants them to know that they are not alone. Cause a lot of people, and I was shocked, a lot of people did not know that something is being done. [There are] seven (7) CAFOs in a three mile radius, and four (4) big poultry houses. And you ride by these things, oh my God, and the make you want to regurgitate. 4. What communities are you presently working with and what are the issues they’re facing? No. I want to eventually. I’m new to it [CAFO organizing]. I’ve only been at it 4½ months. And I do see a big need for it. 5. What do you see as the most pressing EJ issues in NC/the South/the U.S. today? What do you think are the major challenges for EJ organizing? Basically, making people aware. We need to be aware cause the smell, the fumes, the sut, or whatever it is, I believe it’s hazardous to our health. I’m finding out that [when] I’m tearing in my eyes, I thought it was allergies, I’m learning it’s from something else. 6. What have you learned from your work? I’ve learned that somebody is doing something and there is help available. I also didn’t know it was a violation of civil rights. And I didn’t know that they [the CAFOs owners] were targeting low-income and African American communities. 7. What has been most rewarding about doing this work? I don’t know how you’ll word it, but seeing people (sigh)[have] relief. Seeing people with an expression of relief. Seeing the expression of “Oh Lord, help is on the way”! I don’t do it for the money. I do it for the cause. I’m fighting for this thing. Please join us for NCEJN’s 16th Annual EJ Summit on October 17-18, 2014 in Whitakers, NC! The North Carolina Environmental Justice Network (NCEJN), Rural Empowerment Association for Community Help (REACH), and Waterkeeper Alliance, with the support of Earthjustice, submitted “a complaint against the North Carolina Department of Environment and Natural Resources (DENR) for issuing a general permit that allows industrial swine facilities in North Carolina to operate with grossly inadequate and outdated systems of controlling animal waste and little provision for government oversight, which has an unjustified disproportionate impact on the basis of race and national origin against” communities of color in violation of Title VI of the Civil Rights Act of 1964 and the United States Environmental Protection Agency’s (EPA) implementing regulations. Read the full complaint here (pdf). Read the press release here (link). NCEJN aims to build its power and reach as a statewide resource, and seeks an Administrative Co-Director to implement program expansion and fundraising. The Administrative Co-Director will bring his or her vision to the organization and help NCEJN to strengthen North Carolina’s environmental justice movement. Serving as NCEJN’s external ‘face’ and internal guide and coach to interns and future staff, the Administrative Co-Director will manage interns, support organizers, consult with the bookkeeper and will report to a volunteer board of directors. In addition to ensuring the implementation of operations and programming, the Administrative Co-Director will be heavily involved in planning the NCEJ Summit, supervising volunteers for the summit and organizing evaluation of the Summit in collaboration with the NCEJN Organizing Co-Director. Promoting Environmental Health and Justice in North Carolina: This should be a driving passion for the Administrative Co-Director, among whose top goals should be achieving justice for the people of North Carolina. This is a part-time position, with opportunity to expand to full-time based on performance and fundraising. NCEJN is an equal-opportunity employer. The hourly rate for this position is between $20 and $30 per hour depending on experience, through at least the end of 2014. Please contact the chair of the board of the Network with your cover letter, resume and two references at ncejnetwork@gmail.com. NCEJN is a statewide, grassroots led nonprofit organization. Our central goal is to promote health and environmental equality for all people of North Carolina through community action for clean industry, safe work places and fair access to all human and natural resources. We seek to accomplish these goals through organizing, advocacy, research, and education based on principles of economic equity and democracy for all people. We focus on the communities who are most impacted by environmental injustice, including people from low-income communities and communities of color. We use community based participatory research, organize communities, engage media, educate elected and appointed government officials, and advocate statewide for practical solutions to achieve environmental justice. In order to be successful, every campaign at NCEJN depends on organizing with the people most affected by environmental injustices. 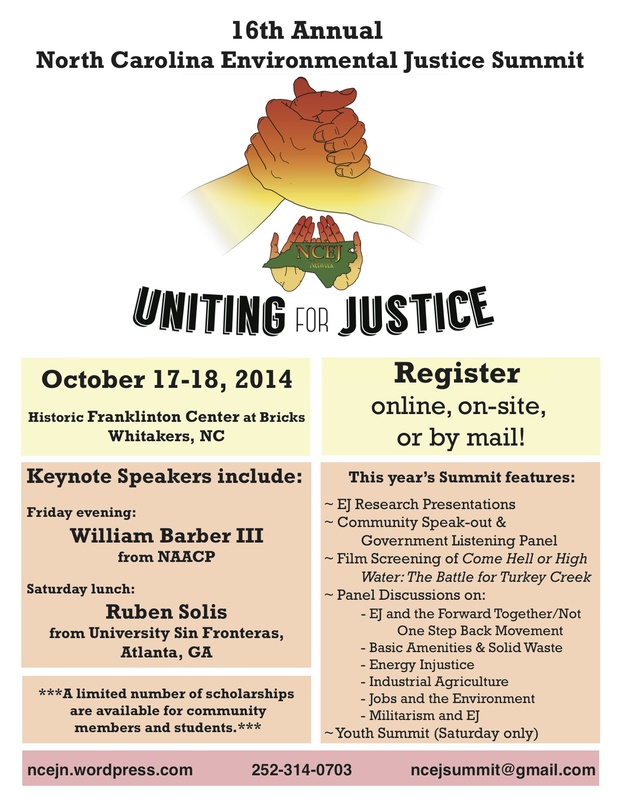 The coordinator will provide conference planning support for the 2014 NC Environmental Justice Summit, which will take place at The Franklinton Center in Whittakers, NC October 17-18. Collect note takers’ reports, photos, and surveys from the Summit. The coordinator will work closely with Naeema Muhammad, NCEJN Acting Director, and members of the NCEJN Planning Committee. This position requires 1) great organizational skills, 2) comfort with updating the NCJEN website with Summit news and keeping track of online registration, 3) great interpersonal skills, and 4) a sincere interest in achieving environmental justice and preventing environmental injustice. Experience with conference organizing is desirable. The position is available for 20 weeks from July 1 – November 10, 2014 for an average of 10 hours/week at $20/hour. Please send a letter of interest and resume by June 20, 2014, to Naeema Muhammad, Acting Director, NC Environmental Justice Network, naeema1951@gmail.com. Recruitment will continue until the position is filled. For more information contact Naeema Muhammad, naeema1951@gmail.com (252-314-0703), Steve Wing, steve_wing@unc.edu (919-966-7416) or Courtney Woods, courtney.woods@unc.edu (919-962-4660). 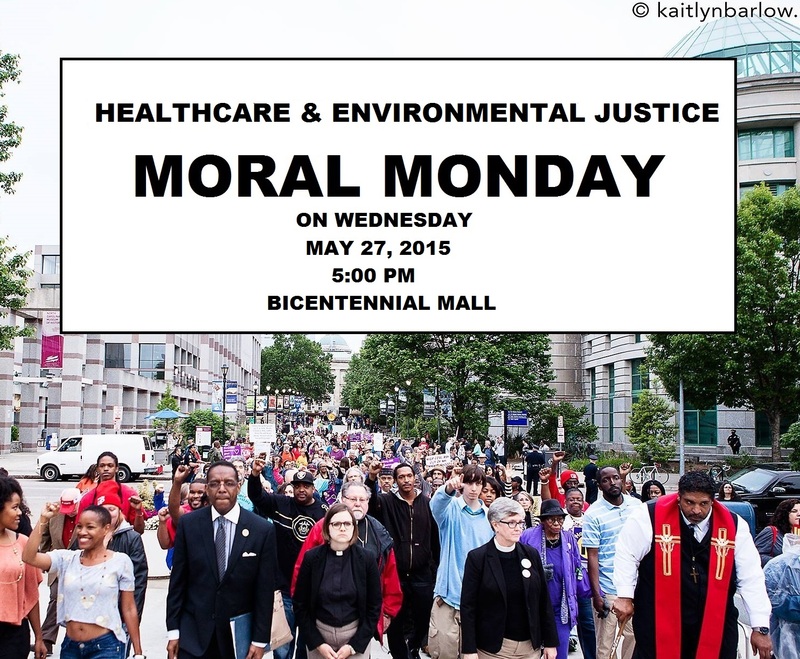 Join members of the NCEJN and others interested in a healthy and safe environmental for all at today’s Environmental and Health Justice Moral Monday on Halifax Mall! Two talented graduate students have been working with NCEJN to expand our statewide outreach. They are taking what they learn from communities and from NCEJN planning committee member Dr. Steve Wing, to tie communities’ experiences with injustice to their academic pursuits. The students, Willie Wright and Pavithra Vasudevan helped produce a publication, The Whirlwind. It contains essays, maps, and poems that explore the connection between race and geography in the United States. One piece in particular challenges those of us working towards environmental justice to think critically about racially motivated violence, the connection to environmental racism, and how it impacts people and environments alike. The surveys are in and we received very positive feedback on the 2013 EJ Summit! Overall, Summit attendees represented 23 environmental and social advocacy groups, 14 citizen and community groups, 9 colleges and universities (4 out-of-state, 5 in-state), 5 law groups, 2 federal agencies, 1 state agency, and 1 religious group. A majority of respondents surveyed reported that the sessions increased their understanding of EJ issues and strengthened community members’ relationships with researchers and with government officials. A majority of respondents also felt that the role of different population-age groups in the EJ movement is necessary for success. Details of the survey results and participant comments can be found here. We would like to extend our full appreciation to all those who were involved in attending, planning, organizing materials, volunteering at the event, and all in all making the 2013 Summit a huge success! Click here to complete the online form to share your experience. This weekend members of the NCEJN’s planning committee will attend and present their research at the Dimensions of Political Ecology (DOPE) Conference at the University of Kentucky in Lexington, KY. Pavithra Vasudevan and Willie Wright are both doctoral students in the Department of Geography at the University of North Carolina at Chapel Hill. Both have been instrumental in supporting NCEJN in its statewide efforts and we are glad to support them in their work to promote environmental justice here in North Carolina and Kentucky. NCEJN is still reorganizing and will, consequently, post less here. In the meantime, we still support other advocates for justice. This Saturday, February 8th, please attend NC NAACP’s 7th HKonJ (Historic Thousands on Jones St.) in Raleigh. We anticipate that the coming year will provide many opportunities to collaborate toward achieving Environmental Justice. 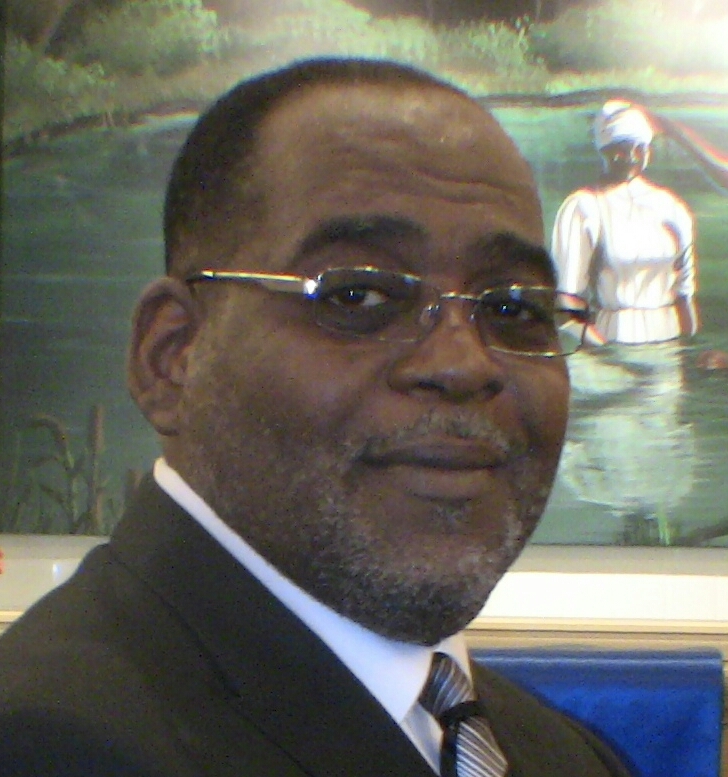 While Gary Grant lead the organizing charge for many years with the Network, leadership has changed hands, with long-term organizer, Naemma Muhammad taking the reins in 2014. Naeema will continue to work in her organizing capacity and will take on Interim Director duties during the search for a new Director. She can be reached at ncejnetwork@gmail.com, or by phone at (252) 314-0703. Happy Holidays from the North Carolina Environmental Justice Network! Wishing you Peace and Justice this holiday season, we’ll see you next year. Public hearing is set for Dec. 3 on draft permit for proposed Maysville landfill in Jones County. Written comments are due Dec. 31. State officials with the Division of Waste Management will host a public hearing in Maysville Dec. 3 on the draft permit to construct the proposed Maysville Construction and Demolition Debris Landfill. The public hearing starts at 6 p.m. at the Maysville Elementary School Gymnasium, 814 6th Street, Maysville. Oral or written statements and data concerning the proposed C&D landfill permit may be submitted at the hearing. Persons wishing to speak may register at the hearing. Interested parties may submit written statements and data concerning the proposed permit at the meeting or may submit them by mail until 5 p.m. Dec. 31 to: Geof Little, Division of Waste Management, Solid Waste Section, 1646 Mail Service Center, Raleigh, NC 27699-1646. Written comments may also be sent by email to geof.little@ncdenr.gov. Background and additional info can be found here at the DENR website. On Dec. 14, Southern Environmental Law Center (SELC) and Rural Advancement Foundation International (RAFI) is co-sponsoring a workshop for landowners who have leased their land, those considering a lease and anyone concerned about landowner rights and the impacts of natural gas and hydrofracking. The West End Revitalization Association (WERA), a community development corporation founded in 1994 in Mebane in the Piedmont region of North Carolina, celebrated its 19th anniversary on Friday, November 15 with its annual dinner at K&W Cafeteria in Burlington, North Carolina. WERA was founded by concerned Mebane residents when they received word that the North Carolina Department of Transportation, with the full cooperation Alamance County and Mebane officials, planned to run a highway bypass through the predominantly African American community of West End. The plan would require the destruction of almost thirty homes and St. Luke Christian Church, which was founded by former slaves. In an effort to fight the proposed bypass, WERA filed administrative civil rights and environmental justice complaints in 1999 with the U. S. Department of Justice to stop the City of Mebane, Alamance County, North Carolina Department of Transportation, and the Federal Highway Administration from proceeding with the destruction of their community for the sake of the bypass without any input from the affected homeowners or plans for their relocation. WERA alleged that these government entities had planned for and were proceeding with the proposed highway bypass in violation of the Civil Rights Act of 1964 and Executive Order 12898, signed by President Clinton in 1994 to address environmental justice issues in so-called minority communities. At the 19th Annual Dinner on November 15, several dedicated community members dined on a delicious Friday evening meal as they shared memories of years past in the environmental justice struggle and the successes and hardships that they had encountered along the way. During the dinner, Mr. Omega R. Wilson, WERA’s President & Project Manager, recognized the invaluable contributions of long-standing board members and community residents Ms. Evon Connally, Mr. Donald Tate, Ms. Marilyn Snipes, Ms. Rachel Hester, Ms. Patricia Torain, Mr. Joe Johnson, and Ms. Chartarsha Garner. There was also some updates regarding the acquisition of property in the community regarding the proposed highway bypass. Near the conclusion of the celebration dinner, Mr. Omari M. Wilson, an attorney at the Land Loss Prevention Project (LLPP) in downtown Durham, North Carolina, presented Omega Wilson with the Fruit of the Land award which was given in recognition of Mr. Wilson’s collaboration with LLPP in the environmental justice movement. Omega Wilson had been chosen with three other honorees to receive The Fruit of the Land award as a part of LLPP’s 30th Anniversary Reception on October 11 at the NCCU School of Law. For more information about WERA, please visit www.wera-nc.org. It's time for the 2018 NCEJN EJ Summit!